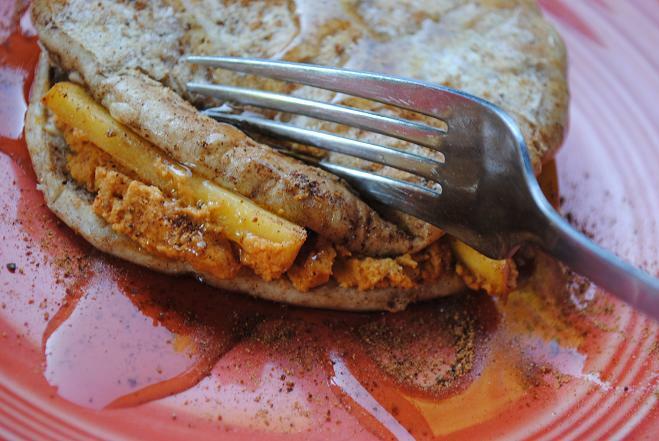 As some of you pointed out to me through Twitter and this morning’s post, today is National Peanut Butter Day! How could I have missed that!? And there’s always the classic peanut butter finger. I don’t need a fancy recipe to enjoy a swipe of the good stuff! Peanut butter managed to find its way into my lunch today in the form of peanut butter M&Ms! 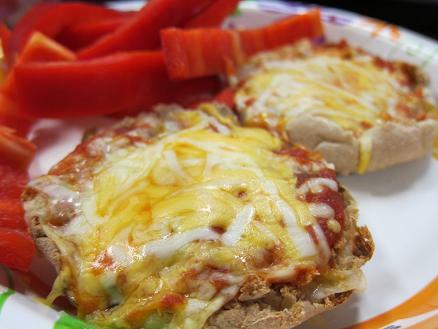 After I got my chocolate fix, I enjoyed a childhood favorite: English muffin pizzas! 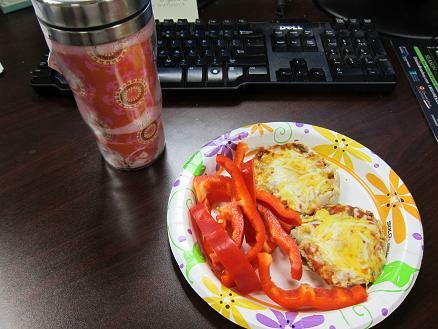 Served with a sliced red pepper and a tumbler full of hot tea, this lunch was the jam! Until then, here’s a glimpse at today’s ensemble. 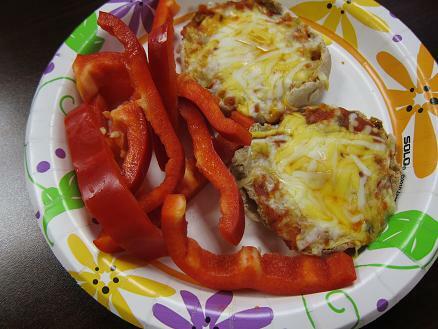 I love english muffin pizzas! I have this great Italian seasoning blend grinder that I always use to top the pizzas off with some extra zesty flavor. PB M&M’s are awesome! It’s a tie between those and Reese’s Pieces for me! I honestly thing we should have had this day off from work and school. I mean, c’mon..it’s National PB Day!! i love your blog!! you have the perfect balance of food, exercise, fashion, and randomness! Julie, I love your outfit! I LOOOVE your outfit! Please come give me a closet makeover? lol. Love the outfit. So pretty and stylish. Ah the hole in the tookas…my black tights have the same thing so I’m glad I’m not the only one who continues to rock ’em! Love the outfit! 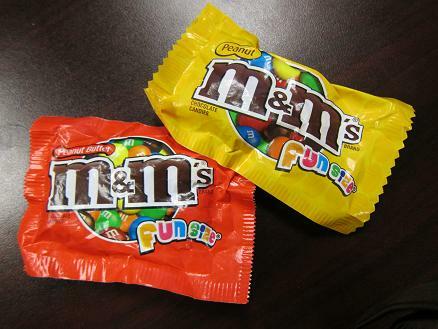 Peanut Butter M&M’s are definitely the best kind. And they SHOULD make caramel ones! your boots are great. do you like the leather?? I was thinking of ordering the blue/grey or the rust flats. 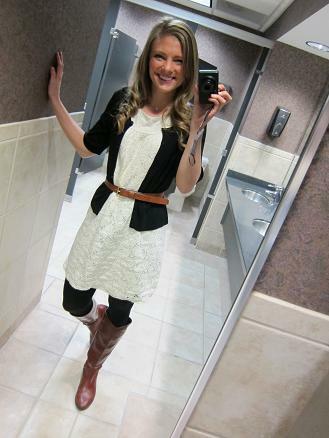 Are yours the ColinStuart Leather riding boots?? So much easier to order off line if you “talk” to someone who already has them. ha. Thanks!! You look super cute! I told my local librarian yesterday was National Peanut Butter Day, she thought it was a joke until I made her look it up on the internet. She was like “wow you learn something new everyday”. I felt very smart.